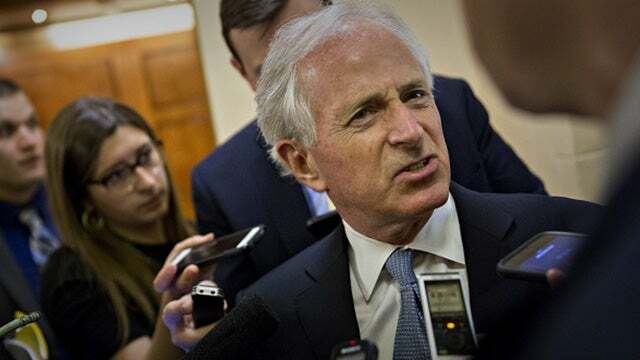 "RUSH: Bob Corker, little guy, he just goes back and forth on Trump. He can’t make up his mind. And this is on Capitol Hill. I guess it’s a press conference. Corker talking to reporters about last night’s primary losses by Never Trumpers and other Republicans who opposed Trump. He just can’t figure it out. Donald Trump had the ability to understand where a majority of Republican voters were and what they were thinking and how fed up they were about certain things, and Donald Trump came along, and he spoke their language. He validated what they were thinking, and he has become their champion, because nobody else in your party stepped up! But these people weren’t running around aimless, and then Trump as a Svengali shows up and starts spinning tales and has them mesmerized into a cult.